UPDATE; 9/13/2017 – A GoFundMe page has been established for the family of Kyle Marshall. Police in Baltimore County are seeking assistance from the public in locating the vehicle and driver who struck and killed a young man crossing Eastern Boulevard on Stemmers Run Road in Essex with his mother just after midnight on September 11. 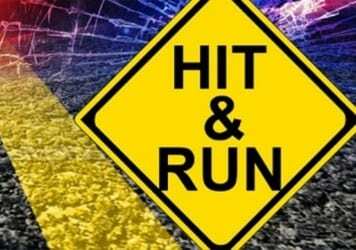 Police say that around 12:45 a.m., the suspect vehicle was traveling eastbound on Eastern Boulevard as it crossed through the intersection at Stemmers Run Road. The victim, identified as 23-year-old Kyle Emmanuel Marshall of Essex, was crossing Eastern Boulevard with his mother when he was struck by the vehicle, which made no attempt to stop and continued to flee eastbound on Eastern Boulevard. Emergency personnel responded to the scene where they pronounced the victim dead. His mother was unharmed during the incident. Police believe the suspect vehicle may have been a purple colored Hyundai Elantra. It is likely to have damage to the front driver side area, including a broken out headlamp and front side tag light, a portion of the front driver side bumper damaged or torn off, and possible damage to the front grill area and windshield. Anyone with information on this suspect or suspect vehicle is asked to contact police at 410-307-2020.